Weekly meals designed by a Registered Dietitian, made for you. EVOLVE Eats is more than just a meal prep service. Each recipe is hand crafted by our Registered Dietitian to ensure optimal nutrition and balance. 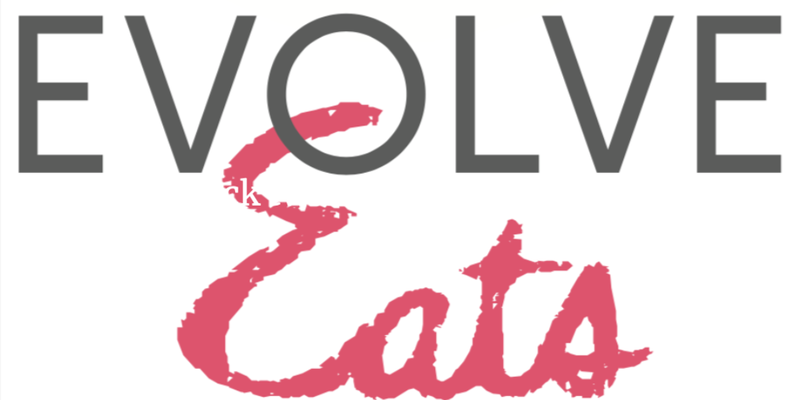 We created EVOLVE Eats because work is busy, family is busy, life is busy, and cooking is the last thing on your mind. At EVOLVE, we believe in food and community. We are here to make our community stronger with each meal. We strive to use in-season, whole-foods to ensure quality, nutrition and sustainability. All ingredients are non-GMO. When possible, we incorporate local, organic produce and meats. 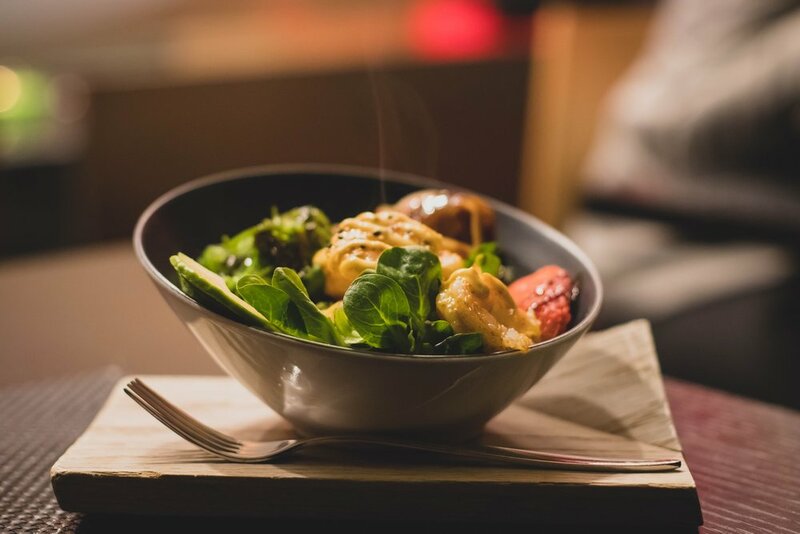 Our meals do not contain gluten or dairy to avoid any common allergies. While we disclose other common allergies on our meal labels, please contact us for other specific allergy information. As a company, we believe that we should do our best minimize our waste and impact on our environment. You can bring in your own clean Tupperwares that we fill with delicious food. For each Tupperware you bring in (or bring back), you will start building points towards free meals. As a member, you will also receive monthly recipes of our favorite meals to help you build your master chef skills. We want to make it easy to nourish your mind, body, and soul, so that you can tackle whatever life throws at you. Manage Your EVOLVE Eats Plan: Click Here. Use this link to change your number of meals, or cancel your plan. When and how do I place my order? You will receive an email at the beginning of the week with an order form to fill out. You will also get a reminder email every Thursday. When are orders due? Orders are due Thursday by midnight. When can I pick up my food? Monday-Friday from 11:30am-6:30pm at EVOLVE Flagstaff. What if I forget to fill out my order form? Contact us as soon as possible and we will try to accomodate. If we cannot accommodate, you can choose to pause your plan for that week. If you forget and also do not contact us or pause your membership, you will be charged on Monday. This charge is not refundable. You can go into MoonClerk , the system we use to process payments, at anytime to manage your account. How many meals can I order per week? We have meal plans of 1, 2, 3, 4, 5, 10, 15, and 20. You want 8 meals instead of 10? Great! Find a friend or we can find someone who really needs a meal to donate it to. Why is everything gluten and dairy free? These are two allergens that we have chosen to eliminate for the safety. It is not because gluten and dairy are inherently unhealthy or not delicious. It’s just easier for us to keep our customers safe. We do use nuts and seeds but we will always disclose this on the order form so that you can select your meals appropriately. If you have other allergies, please let us know as soon as you sign up so that we can accomodate. Am I ordering full meals, or meal ingredients? You are ordering fully cooked and prepared meals. They typically just need to be reheated, and in some cases eaten cold. They have a shelf life of about 7 days. A cook date and recommended toss date will be on each meal. The meals are cooked and transported according to all appropriate food regulations in a commercial kitchen. While all of our meals are made using gluten-free ingredients, they are not certified gluten free and are made in the same facility as wheat-containing foods.